Being as informed as possible should always underpin any bettor’s approach, particularly with the abundance of information available to us in the internet age. If you want to make money betting on sports, chances are you have considered utilising a betting tipster as part of your strategy. This information is often free, but other times you may be asked to pay for a tipster’s advice. Regardless, not all information is good information and it can be hard picking out quality from quantity, not to mention something that is genuine, researched, cautious, as ever with sports betting, disciplined. Rather than immediately asking yourself which betting tipster to select, determining whether this service is the right strategy for you in the first place is something that should be considered. This post will run through the things to consider regarding betting tipsters and the best practice to follow should you decide to utilise them. Just like making any good bet, researching tipsters to determine whether they are the real deal and right for you, if at all required, can be the difference between winning and losing. Why Do You Want a Tipster? Can I trust my gut feeling? There is no shortage of bettors who turn to tipsters, often found through social media accounts or via websites, to avoid having to deal with the dilemmas the questions above can cause. Tipsters will seek out these people by claiming to get predictions about the outcome of sporting events right and offering advice about how a bettor should spread their money. Many tipsters can actually benefit from you losing your money. This will often happen if they are affiliated with a bookmaker, whereby they include a link to a betting company’s site and either profit from people who create accounts with the firm or get a cut of the bettor’s losses. What’s more, tipsters will not explicitly state that they are affiliated with a bookmaker. …even though only a tiny fraction of their audience wouldn’t already be signed up to that bookmaker. After all, why would they want to sell the fact that they potentially stand to gain when their tips fail? Granted, not all tipsters affiliated with bookmakers will intentionally lead you astray, but by the same token they would not want to give you too much of an advantage over a company they are in business with. Trust should be at the core of your partnership with a betting tipster, so when considering a certain person to follow a thorough background check – of their performance, affiliations and endeavours – is in order. Affiliated tipsters only make money when you lose. If you win, they don’t get their commission. The ability to conduct smart and effective research is a trademark of all successful sports gamblers. These people are also very discreet with whose advice they take on, if any at all. When contemplating investing your money based on another person’s tips, it makes sense to be as informed about that person’s track record as possible. This is particularly important if a betting tipster is charging you for their advice. Just like paying for any service, you want to make sure you are smart with your money here. There are a host of betting tipsters out there claiming they make large profits from their weekly bets, leading to people trusting them on the basis of little or no evidence. Following the mantra of professional sports gamblers, by combining research with discretion, is a great way to ensuring you do not fall into this trap. But how do you go about gathering the information to determine whether a tipster is right for you? Monitoring performance is a great starting point and all tipsters should be providing a rundown of their results. These should be detailing stakes, earnings, losses and overall success rate. To ensure these results are not fabricated, follow them closely and start your own database or spreadsheet covering all of their tips. Analyse success rate and the value of each tip, comparing earnings and losses and determining an overall percentage of correct bets. Some betting tipsters have been known to forge their records by inflating odds, removing losing bets or adding winning bets after the event has occurred. By monitoring their performance yourself, the potential of being sucked in by misleading information is removed. Crucially, make sure your stats cover a broad stretch of time. You want to ensure that you are basing your trust on a steady, sustained period of success, rather than what could be a simple hot streak. Furthermore, scrutinise tips beyond the potential for profit and the end result. Have the betting tipster’s selections been well researched? Has a detailed explanation been provided for each tip? What staking system do they employ and is it easy to follow? These questions tie in with communication, which is a crucial aspect of the tipster-bettor partnership. Typically, tipsters will look to obscure lower leagues to find value when trying to complete rolling accumulators like the £10 to £1000 challenge. Tipsters should be regularly and clearly detailing the advice they provide. With social media and websites the most popular platforms through which they operate, it should be easy to get in touch and have your questions promptly answered. Quick and detailed communication is key, so be prepared – and feel entitled – to ask plenty of questions. It is your money – not their’s – that is on the line, so you are entitled to have high expectations. There seems to be very little regulation which governs how tipsters operate. As such, many have been allowed to roam freely online and can often mislead unsuspecting bettors. It is therefore important to be aware that tipsters can often work under a business model that ultimately benefits them, not the bettor. 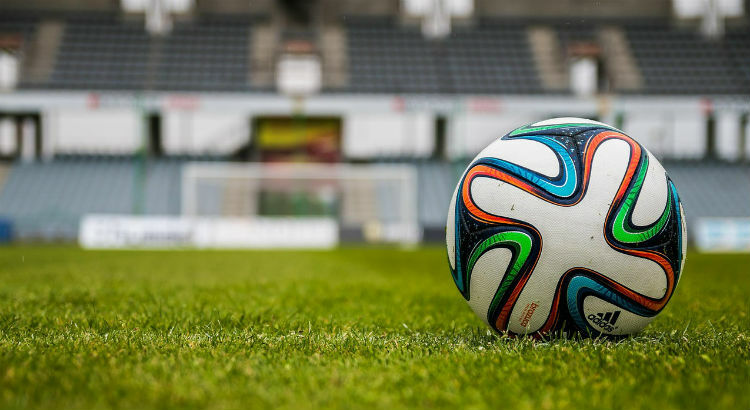 A genuine tipster, whether they’re providing pre-match or in-play betting tips, needs to help you find an advantage and give you the best chance of winning, rather than work as an agent for a third party such as a bookmaker. They also need to prove themselves to you, just like any service provider seeking your business should do. Another point to ponder is whether good tipsters would really be interested in giving away tips for what is generally a small price. For a small price, they are essentially publicising potentially profitable information that they could keep all to themselves. So, when scouring through the scores of tipsters offering betting advice online, consider their intentions and ask yourself a simple question – what’s in it for them? If you cannot determine that their intentions are genuine, move on. A big social media following does not necessarily mean they’re a good tipster, it just means they’re a good marketer. A site we’ve grown to love in this industry is Tipstrr, due to the fact they help you to follow all of the things we’ve advised in this post. If you sign up via this link, you’ll get a welcome discount. All of the tipsters on the site have their tips monitored, along with their profit and loss. This means you can easily see who’s profitable and who’s not. Why is it you’re looking for a football betting tipster? Is the only reason so you can win bets more often and make more money as a result? You should absolutely try out matched betting with Oddsmonkey. If you’re sick of losing, then matched betting is 100% for you for one reason – you can never lose. Please note, we’re currently not sending out betting tips. However, if you subscribe, you will be made aware as soon as we do. Added! Best of luck John! We’ve added you now, good luck Alex!